First 2012Global Geospatial Developer Conference（WGDC）is hosted by 3sNews, which is the largest and the most practical, top-level geospatial developer’s gathering in geographic information industry, aims at promoting technologies and business model’s innovation and transmission. Angel investors、venture capital providers concern geospatial application fields. 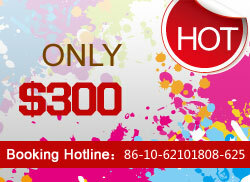 What’s profit model of Telematics? PS：Conference also contains entrepreneurial programs for developers and development teams、 project venture investment forums and kinds of topical salons. 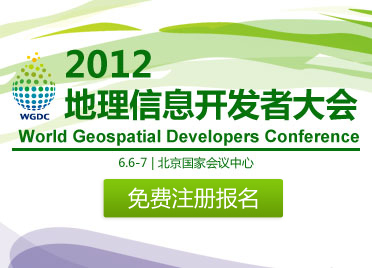 It is the largest and the most practical geospatial developer’s gathering in China. More than 3000 people are expected to attend, including 80% excellent enterprises and developer teams of the geospatial service industry chain ;the theme cover all mainstream technologies and business platforms, which emphasizes application 、R&D and practical experience sharing. It is the most practical geographic information industry event. Emphasizes application development and operation experience sharing, numerous excellent teams develop、manage、 demonstrate and share achievements, it is instructive and eye-opening. Technology tycoons and developers get together. Top international technology leaders and China’s most influential industry insiders get together, lots of projects from developers are to be displayed，it sure will be instructive and eye-opening. Worldwide most main stream geospatial development manufacturers get together. China’s Network Operators and internet tycoons: Baidu, Tencent Inc, Alibaba Group， SOHU，SINA. ; Well-known geospatial manufactures at home and abroad: AutoNavi , esri, Unistrong, South Surveying & Mapping Instrument Co., Ltd., MapInfo，Bentley，Intergraph，Supermap, NAVINFO. Set venture investment project talks . Set project demonstrations for excellent development teams and build platform for those teams and angel Investors、venture capital providers to communicate face-face. Kinds of activities for participants to engage in. There are different interactive activities for different participants：key-note speech、roundtable forum、topical salon、technologies and products exhibit.